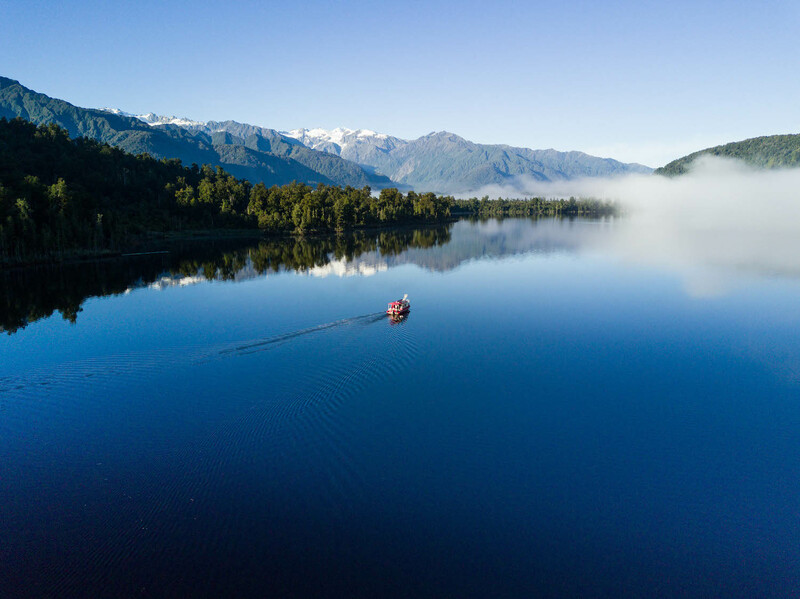 Glacier Country Lake Tours in Franz Josef Glacier offers sightseeing Eco-Cruises, Fishing Charters and Guided Walks on the beautiful Lake Mapourika. Lake Mapourika is a scenic gem on the West Coast, offering panoramic views of the mountains and glaciers and mirror-like water. The Kahikatea forests that border the lake are also home to NZ's rarest kiwi bird - the Rowi. The Hanna-k is designed so visitors can experience amazing bird life from any of the boat's viewing platforms. The boat is also designed to handle all west coast weather and will keep guests warm and dry in any weather conditions! Fishing charters run all year around. Quinnat Salmon run up the Okarito river and into the lake annually. The salmon can be caught between October 1st to March 31st each year. 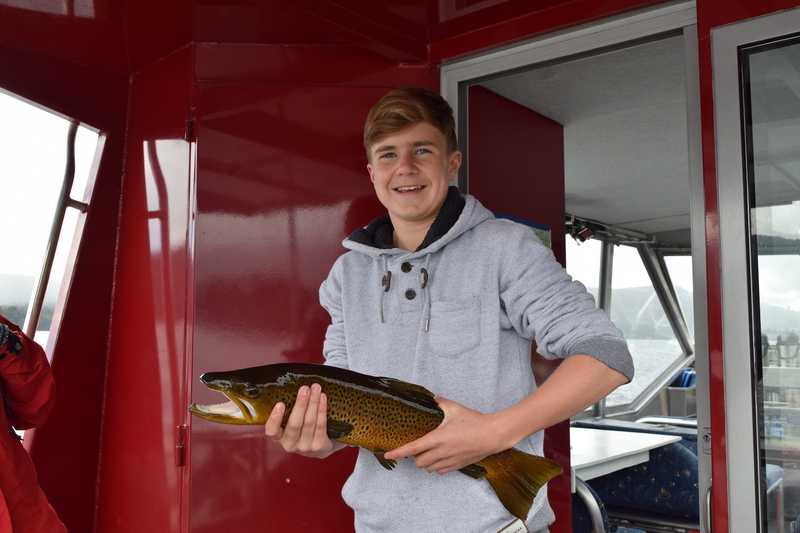 Brown Trout can be caught all year round. There are two lake cruises to suit all ages! 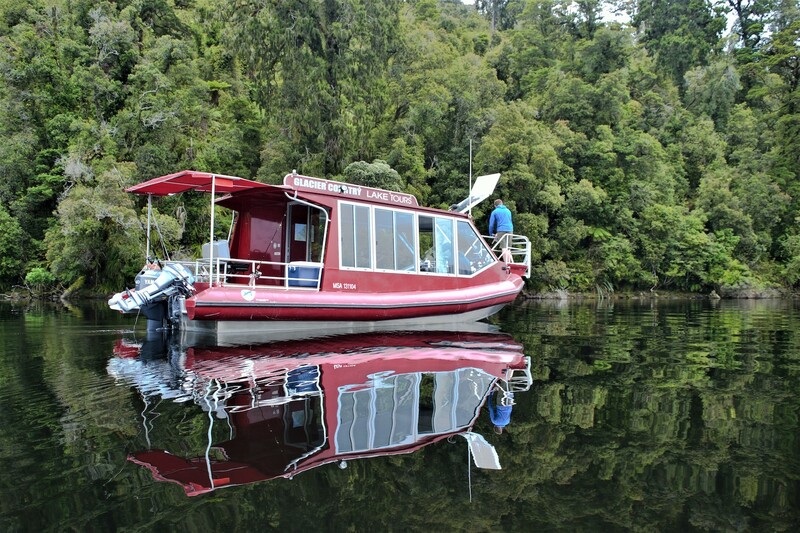 A 2 hour Scenic Lake Cruise takes guests across the serene lake to the Kiwi Sanctuary for some photo's and birdwatching opportunities! Or join the adventurous 2.5 hour Cruise & Rainforest Trail, where the skipper will take guests on a guided walk through their custom built rainforest trail in the Okarito Kiwi Sanctuary.